Mami-Eggroll: And let the competition begin! Although it’s not quite the New Year yet, we have started an abridged version of our company’s weight loss challenge. After all, the Mo and I have a beach honeymoon to go on in less than 8 weeks, my coworker is getting married in 7 weeks and my other coworkers has a family cruise planned before Christmas break. We’re all motivated and pumped for this challenge. The pot is at $200.00 and the winner also gets an additional $50.00 from the company. This is going to be an extremely difficult challenge because 3 of the contestants are previous winners (one including myself). The other 2 guys are competitive beasts, after all, they are salesmen. I don’t want to be super strict and set up extreme guidelines for myself and fall of the wagon in 2 weeks. I will incorporate small but significant changes into my lifestyle for the next 7 weeks. 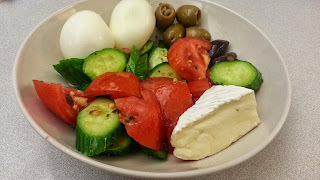 Instead of my DD’s bagel & cream cheese, I will eat a Turkish breakfast consisting of hard boiled eggs, cheese, tomatoes, and olives a couple days of the week. Lunch and dinner will be low carb options consisting of salad or grilled meat and veggies. Giving up rice and noodles will be the hardest obstacle I will have to face. I will strive to go to the gym at least 3 mornings a week (although I really want to go at least 6 days a week). I really do enjoy the group P90x and TRX classes at Best Fitness in Lowell. The trainer is really fun and motivating. I can’t go cold turkey on the booze but I will try to restrict myself to only one drinking occasion per a week and not the Thursday – Sunday routine. 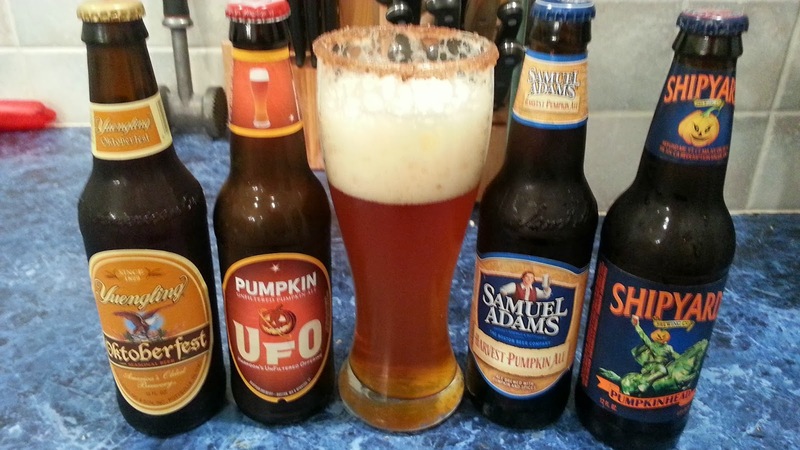 Yes, I will give up pumpkin beer with the cinnamon/sugar rim. This challenge is not going to be easy, in the next 7 weeks, my social calendar is booked with an engagement party, birthday parties, Halloween parties. That doesn't include the Mo’s birthday, my birthday and all the football games where nachos and wings are staples. I had originally planned on ordering a bunch of cupcakes from Keyks, (the bakery we used for our wedding cake) and scarfing them down like a fat kid loves cake. I guess I will have to postpone that until after the competition or never at all. I am still bummed that I didn't eat any of my wedding cake. Oh well, my boss has a saying, “Nothing taste better than skinny”. able to accommodate my request without any issues. When the meal arrived, my table was envious because my dish looked amazing and they all had boring salads to look forward to. 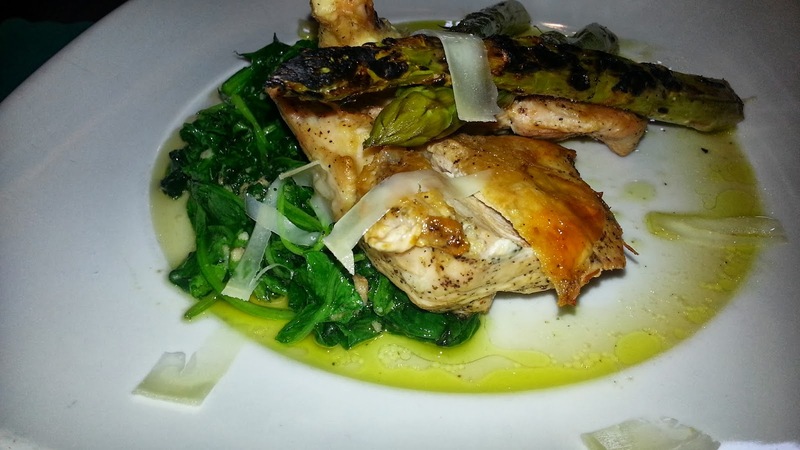 Sometimes, healthy options doesn't have to be boring, it can be new & exciting. Now I just have to keep this spirit and motivation up for 7 weeks! May the best “man” win!